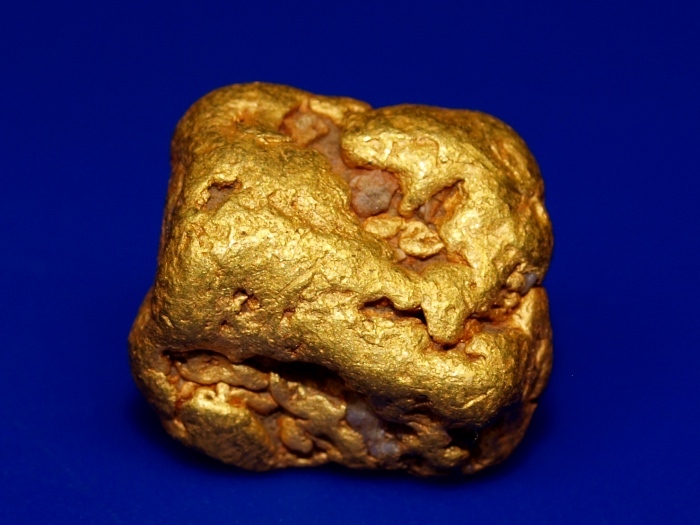 This nice chunky gold nugget was found by a prospector in the mountains of Siskiyou County, California. 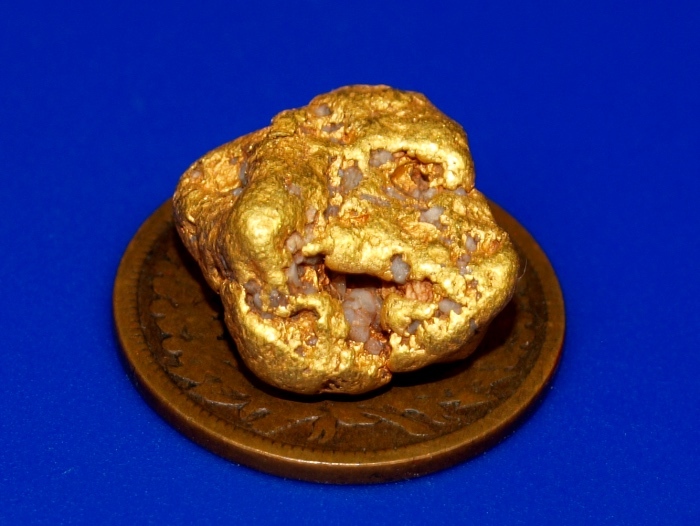 It is a nice sized nugget weighing 6.85 grams. 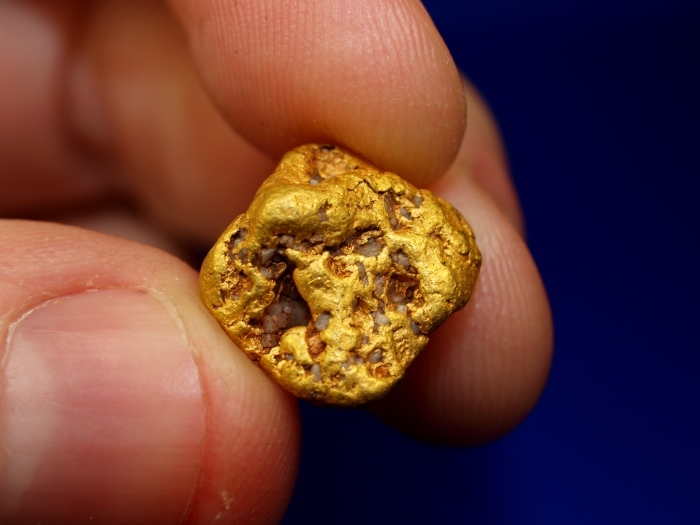 A really nice sample of a high quality placer gold nugget with a few tiny quartz bits still embedded in the nugget. The penny in the photo is for size reference only. 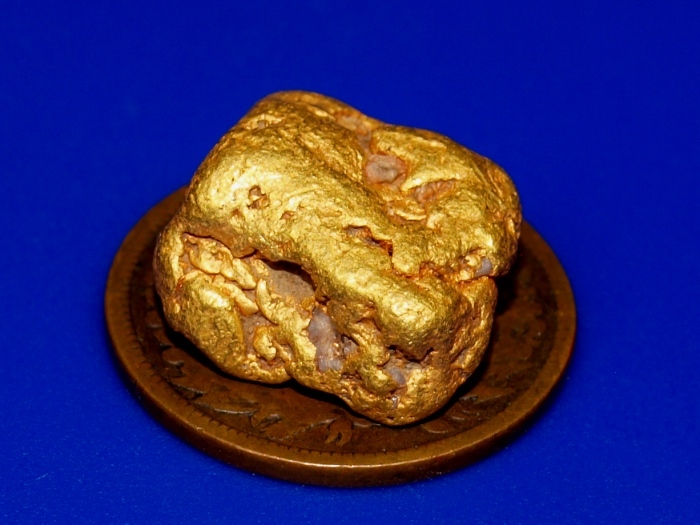 It will ship for FREE and comes in a nice display case.